SPOILER ALERT: This review discusses specific elements and details of Captain Marvel. Spoilers are mild, but if you want to remain completely spoiler-free, read this after you see the movie. 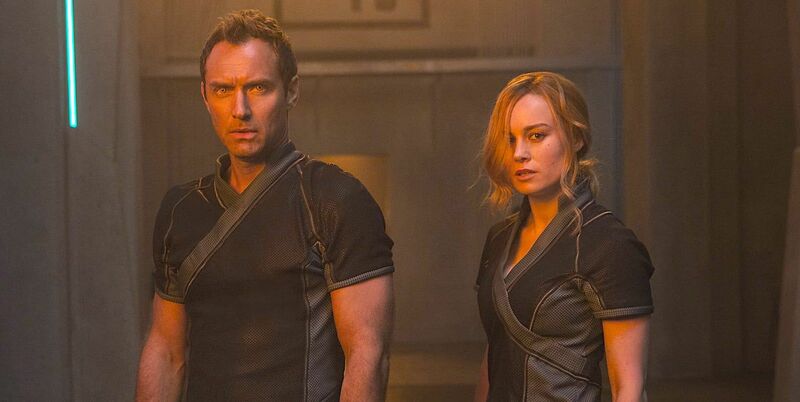 In the months and weeks leading up to the release of Captain Marvel, box office prognosticators and critics hedged their bets when discussing the film’s potential performance. They were cautiously optimistic, but mostly just cautious. There was some doubt as to whether Marvel’s first female-led superhero film would perform according to the studio’s increasingly high expectations. We saw this kind of thing before with DC’s Wonder Woman. It seems whenever a potential blockbuster starring or marketed to women is about to debut, critics begin hemming and hawing and making excuses for the poor film starring a girl, lest it should fail. 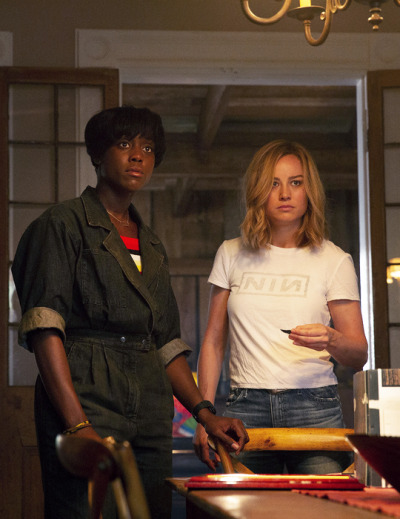 The industry’s lack of faith in female-led films makes Captain Marvel’s opening weekend haul of $455 million in global ticket sales that much more satisfying. The movie broke records, including the biggest worldwide opening for a “female-fronted” film and second biggest opening for a comic book adaptation. Not too shabby for the little lady superhero film that could. LOL. The movie is worthy of every cent it earned, by the way. Introducing a new character to the ever-growing roster of super-charged personalities who populate the Marvel Cinematic Universe, it’s the origin story of Carol Danvers, aka Captain Marvel, who made her comic book debut in 1968. Carol became something of a feminist icon after writer Kelly Sue DeConnick took charge of the character in 2012, and she’s been dubbed one of the most powerful beings in the MCU by no less than Marvel chief Kevin Feige. Refreshingly, Captain Marvel is something very different from the origin stories we’ve seen so far featuring beloved Marvel heroes. Instead of beginning Carol’s saga in the obvious places, say, her childhood or when she first acquires her powers, writer-directors Anna Boden and Ryan Fleck detail her evolution in an edgily non-linear fashion. We witness her transformation from rough-and-tumble girl, to hotshot pilot, to recipient of an explosive power through brief, but potent flashes as Carol struggles to regain her memories. This approach ensures the film doesn’t bog down in cliché origin story formula, which comic-book movie audiences always seem to be in danger of growing weary of. Vers is given a chance to prove herself when she’s sent on her first mission with the special military unit known as Starforce. Instead, she finds herself smack in the middle of an ongoing conflict between the Kree and their mortal enemies, the shape-shifting Skrulls. After crash-landing inside a Blockbuster Video, Vers/Carol is discovered by S.H.I.E.L.D. agent Nick Fury (Samuel L. Jackson, pre-eye patch and young, thanks to the magic of CGI). They basically form the most perfect, hilariously bantering, road-tripping buddy cop duo, teaming up to foil a Skrull infiltration and solve the puzzle that is Carol’s true identity along the way. I’ve always been put-off by the goofiness of the MCU’s colorful alien baddies and was initially not thrilled with the green, pointy-eared Skrulls, who look like they just walked out of an episode of Star Trek. I was pleasantly surprised, however, that the film embraces the silliness of these slippery shape-shifters in a way that makes them more interesting than they at first seem. There’s so much to appreciate about this film, from Larson’s consummate performance, which perfectly captures the compassion, humanity, and snark fans have come to love Carol for. I also got a kick out of how she revels in her powers. A tiny, secret smile comes over Larson’s face every time her invincible fists crackle with energy. Larson especially shines in dramatic scenes opposite the wonderful Lashana Lynch, who stars as Carol’s fellow pilot and bestie, single mom and all-around badass Maria Rambeau. And don’t even get me started on Goose the Cat. I’m not even a cat lover but … I. AM. OBSESSED. I’ll be the first to admit that, while Captain Marvel’s script displays an unexpected amount of sincerity and heart, it also lacks depth. My formative Captain Marvel comic book experiences include DeConnick’s In Pursuit of Flight and Margaret Stohl’s The Life of Captain Marvel, and I found myself missing the rich storytelling contained within these volumes. I think it’s important to point out that it’s ok that Captain Marvel isn’t a masterpiece. The fact that it’s not is actually significant when it comes to continuing dialogue on the issue of female representation in film. In a piece for Vulture, Nate Jones somewhat grudgingly declares that the movie is “fine” and “just okay.” He apparently considers this a disappointment after the controversy stirred up by a small subset of whining baby fanboys who tried to sabotage Captain Marvel with phony bad reviews. “Despite some fun business with a cat, consensus seems to be that it’s a slightly underdeveloped MCU entry, more aperitif than entrée,” Jones writes. My response is that Captain Marvel doesn’t have to be a feminist manifesto, nor does it have to address gender politics to be groundbreaking. All it must do is put a woman at its center and afford her the same heroic, larger than life treatment men have enjoyed for decades. The bar really isn’t that high. I also find myself wondering if Mr. Jones and I saw the same movie because Captain Marvel is packed with girl power and it’s not exactly subtle about it. No less than four women contributed to the movie’s story and screenplay and it shows. At the movie’s heart are female relationships, including warm, affirming friendships and mentorships. Carol’s arc, in which she journeys from falling down repeatedly and getting back up while being told she can’t do what the boys do to embracing her full power and potential, is unapologetically pro-woman. She also manages to “stick it to the man,” both literally and metaphorically. Consider this: Carole isn’t sexualized once in Captain Marvel. Her signature red, blue, and gold suit may be the first ever to be cool-looking, high-tech, and functional without sexily hugging her every curve. There’s no obligatory romance. There’s a complete absence of the male gaze, which until recently has dominated this genre. I don’t even want to think about how crazy those whining baby fanboys will go when they realize Mar-Vell is a woman or that Carol inspired the name of the Avengers. From the use of No Doubt’s “Just a Girl” in a climactic fight scene, which prompted the little girl sitting next to me in the theater to bounce out of her seat, to that final shot of young Monica Rambeau (Akira Akbar) gazing up at the stars as Carol flies into space, the movie sends an incredibly empowering message to women and girls. 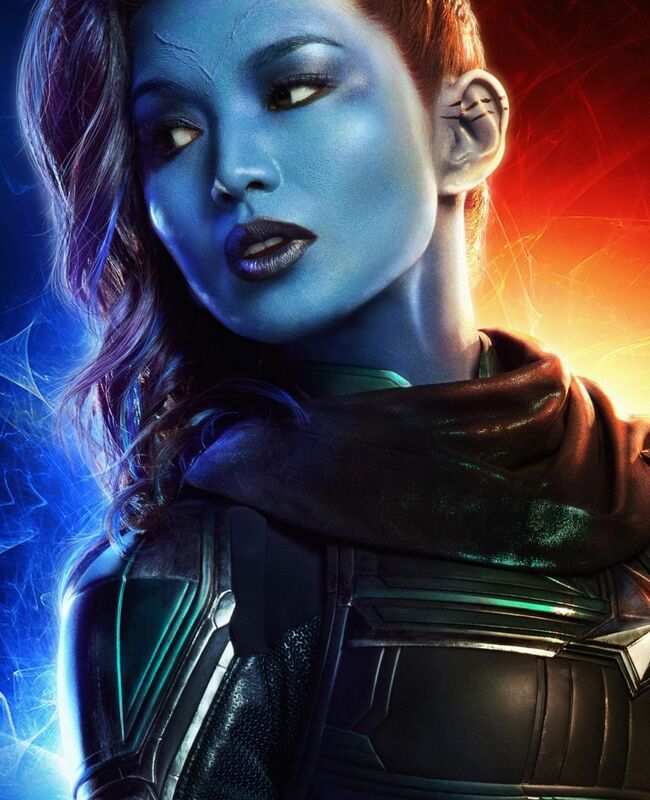 This entry was tagged Avengers: Endgame, Brie Larson, Captain Marvel, feminism, Gemma Chan, girl power, Goose the Cat, Jude Law, Kelly Sue DeConnick, Lashana Lynch, Marvel, Marvel Cinematic Universe, Samuel L Jackson, women in film. Bookmark the permalink. Everything you said – yes!